Robert Golden was born in 1952 in San Antonio, Texas and attended the University of Texas at Austin, obtaining a Bachelor of Business Administration degree with highest honors in December 1973. He then attended law school in Austin and graduated with a Juris Doctor degree with honors in 1977. After law school, Robert moved to El Paso, Texas, where he was a partner in a small firm and had a trial practice consisting of criminal law, personal injury, consumer law, and domestic relations. The Texas Board of Legal Specialization in the area of Family Law certified him in 1983. In 1984, Robert moved back to San Antonio and joined the firm of Davis and Smith, which later became Smith, Barshop, Stoffer & Millsap, a twenty-five-person firm, where he was head of the Litigation Section. Since 1984, Robert's practice has been concentrated in the area of civil litigation, primarily in general business and real estate litigation. Robert obtained certification by the Texas Board of Legal Specialization in the area of Civil Trial Law in 1989 and has maintained that certification since then. In June 1991, Robert opened a solo practice, Robert E. Golden, P.C., again concentrating in the area of civil litigation. 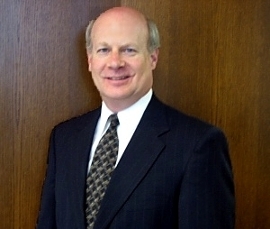 With the addition of Benjamin Golden as an attorney in 2009, Robert E. Golden, P.C. became Golden Law, A Professional Corporation. The firm's practice continues to involve mainly general business and real estate litigation, although it handles other general civil litigation matters, as well as some general representation of business clients. Robert has also been extensively involved in contested litigation in the probate court, both representing guardians and trustees and attacking them. One significant case in which Robert was involved was a suit in which his clients, as beneficiaries of a large family trust, were suing the trustee, who was their brother, for breach of fiduciary duty. This case resulted in a multi-million dollar judgment against the brother. Additionally, in 1998, Robert conducted a trial of a legal malpractice case in which he represented the executrix of an estate against her former attorney for negligence and breach of fiduciary duty, which we claimed resulted in the unnecessary payment of a large amount of death-related taxes and excessive attorney’s fees. We were successful in recovering a judgment against the attorney for reimbursement to the estate. After having participated in several mediations as a litigant in various civil matters, Robert took mediator training in March 1994, and subsequently completed all requirements to be a qualified mediator by the Attorney-Mediator Institute. He continues to actively practice law, representing civil litigants generally, but he also conducts mediations and arbitrations in most civil matters, as well as contested probate, estate, and trust matters. Robert is admitted to practice before the courts of Texas, the United States District Courts for the Western, Southern, and Northern Districts of Texas, and the Fifth Circuit Court of Appeals. Benjamin Golden was born in 1982 in El Paso, Texas and grew up in San Antonio. After graduating from Winston Churchill High School, he attended the University of Pennsylvania, obtaining a Bachelor of Arts degree with honors in May 2004. In 2006, he began law school at Texas Tech University. 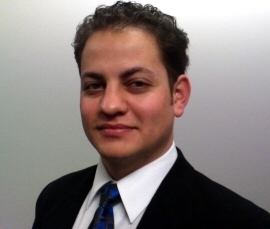 While there, he served as Articles Editor of the Texas Tech Administrative Law Journal, and he graduated with a Juris Doctor degree in May 2009. After law school, Benjamin returned to San Antonio, Texas, where he joined Robert E. Golden, P.C. to form Golden Law. He is admitted to practice before the courts of Texas and the United States District Courts for the Western District of Texas.